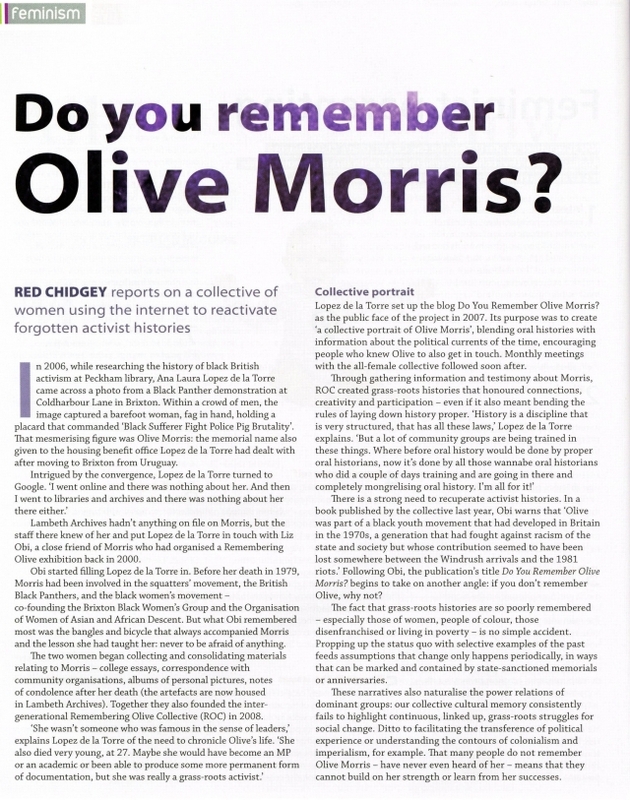 Bibliography | Do you remember Olive Morris? On Friday 6 March ROC had a stall inside Brixton Library as part of an event organised to commemorate International Women’s Day (8 March). Emma Allotey, Ana Laura and I were all there and we took it in turns to look after the stall, talk to people about Olive, and sell some of our lovely merchandise. 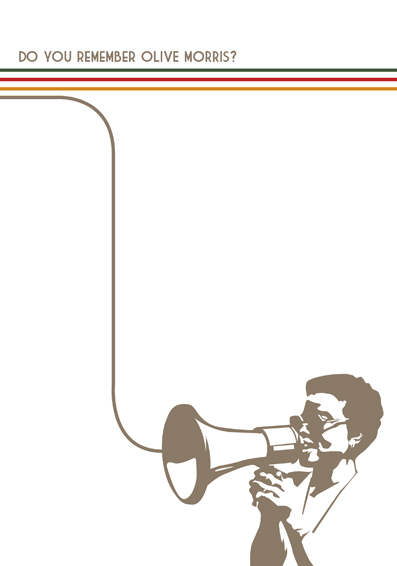 Our new poster’s arresting image of Olive speaking through a megaphone amongst a crowd of people captured a man’s attention. This man was Toyin Agbetu, founder of Ligali. As he stood there in front of the poster, he wondered about this brave unsung heroin and asked himself how come he had never seen or heard of her before. Emma did a great job of informing the intrigued Toyin about Olive and her achievements, and he was so impressed that he decided to invite her to be a guest in his next radio show to share the message with a wider audience. Emma could not do the interview, so she sent an email to the rest of the group asking if someone else (preferably of African descent due to Ligali’s remit – see below) could do it and I -reluctantly- put myself forward and volunteered. Ligali describe themselves as a “Pan African Human Rights Organisation that challenges the misrepresentation of African people, culture and history in the British Media”. As a way of redressing the balance of power, Ligali produces “Africentric media, and education programmes that actively work for self-determination, socio-political freedom, physical health and spiritual wealth” (see http://www.ligali.org for more information), hence the importance of having a ROC member of African descent as a guest speaker in their radio programme. 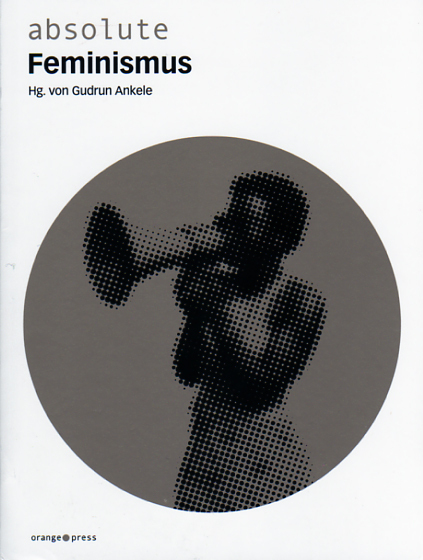 ‘Empowering African Women’ was the title of the programme ROC featured in. Dedicated to International Women’s Day, the programme focused on the achievements of African women and discussed the issue of women’s activism. Consequently, the questions posed by Toyin centered around the legacy of Olive Morris as a black female figure, a community activist, and her relevance to the Pan African community -especially women – living in London today. Tara Atluri reflects on her time with the Olive Morris project as well as her being a part of the Remembering Olive Collective.